Plug & Play - Connect directly to Mac and Windows with included USB cable, and Android smartphones and tablets with included OTG cable, with no fussy driver or phantom power needed. Cardioid Pickup Pattern - Reduce unwanted ambient noise from the sides and rear for much better capture of desired main sound source, perfect for vocals, speech, music, podcasts, gaming, and more. High Definition - Effectively reduces unwanted background noise and offer crystal clear audio, ideal for communication, creation and recordings. 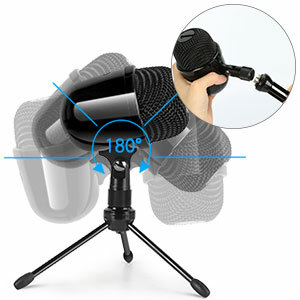 Unique Design - The capsule design is adjustable and includes a detachable tripod. Ideal for both desktop and portable work places. 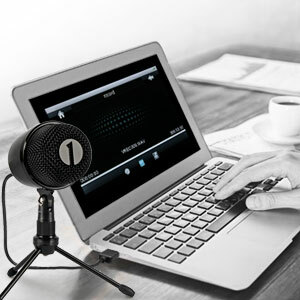 1byone USB Microphone represents a new era of high quality recordings free of mixers, preamps, and expensive studio audio gear. Record instant professional-quality audio directly to any Win/Mac/Linux computer or Android device. 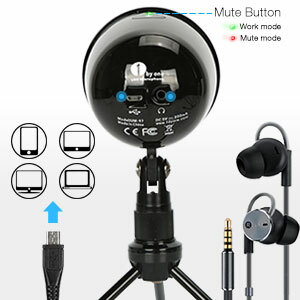 Plug the supplied OTG cable into the microphone's Micro USB port and connect the other end with an Android phone or tablet.Plug any 3.5mm headphones into the microphone and hear playback of the recorded audio.The integrated LED indicator helps avoid unintended muting, with a green LED for recording mode and red LED for mute mode. Plug the supplied cable into the Micro USB port of the microphone and connect the other end to the computer's USB port.The computer will automatically install the microphone's device driver software and display a message when complete. Please note that if another USB microphone has been previously installed, 'USB Microphone' may need to be selected in the computer's recording device settings. 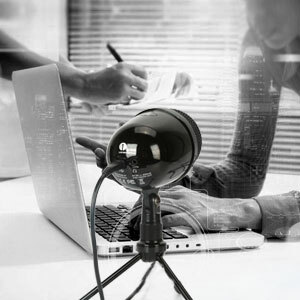 The capsule design is fully adjustable and the included detachable tripod means it's ideal for both desktop and portable work environments. Cardioid Pickup Pattern - Effectively reduces unwanted background noise from the sides and rear for much better capture of the main sound source. 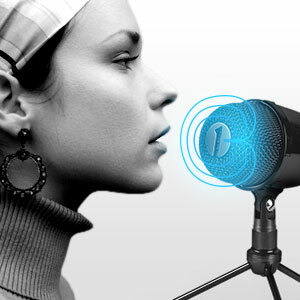 Perfect for entertainment activities including voice recordings, music, podcasts and gaming. Also ideal for working applications including speech, video conferencing, interviews, and online chat though Facebook, MSN, Skype, and many more programs. Does the "cardioid pickup pattern" actually reduce the noise? i work from home, and hate headsets. This is a USB mic. Xbone doesn't support USB mics. There are workarounds but it's probably not worth it. It's easier to just get a headset that is supported. So no, it doesn't really work. Is this device compatible with linux / raspberry pi?